Getting your septic tank cleaned is something that every homeowner in the Dorset area needs to remember to do regularly. If a septic tank isn’t cleaned at least every two years, you run the risk of your septic tank malfunctioning, which could mean waste seeping into your yard. Not only could this be bad for your garden, it could have serious implications for the ground water too. Worst of all, getting your septic tank cleaned every couple of years on average only costs a couple hundred dollars whereas if you put it off for a decade, it could cost between $5,000 and $10,000. And that’s just how much it might cost to repair your tank. Once you factor in the repairs you’ll have to pay for the rest of your yard, it’s safe to say that it’s better to schedule a regular septic tank cleaning with Dorset’s top sanitation company. Dorset Sanitation has been providing Dorset with the best possible sanitation services for years. Our competitive prices and top-of-the line customer service is why more homeowners choose us to make sure their dirtiest job is done right. Whenever your septic tank is in need of a clean, simply call 705-766-9511 and Dorset Sanitation will take care of the rest. One of the most important reasons to get your septic tank pumped regularly is because its maintenance can have a huge impact on your area’s water quality. 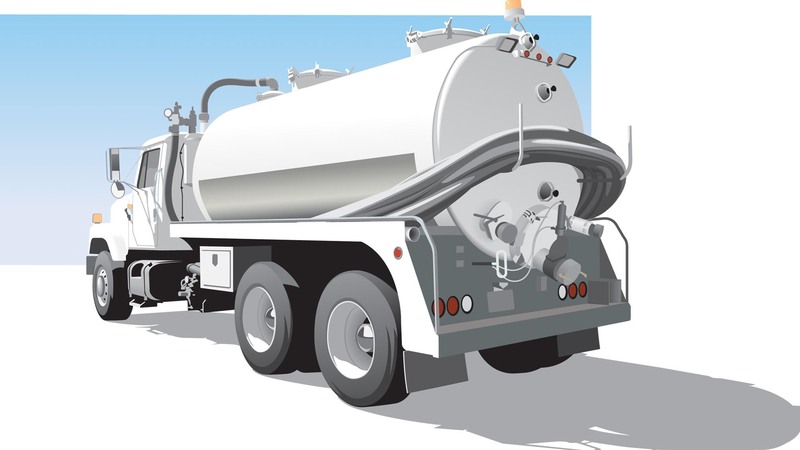 When a tank is clogged, overflowing or leaking, the potential for pollutants to escape and spread is massive. Not only could the waste do almost irreparable damage to your yard, but it could also get into the ground water and get carried into nearby lakes or streams. Not only could this have severely damaging effects to the local ecosystems, it could be a health hazard for anyone nearby. When a septic tank leaks, bacteria and viruses are deposited into the ground water. Once this happens, it’s not long before the water is deemed undrinkable, un-swimmable, and un-fishable. Better to keep that off your conscience and keep your tank clean. In our many years of experience servicing septic tanks, we have seen burst systems that cost as much as $20,000 to repair. In many cases, once a septic tank has failed, it becomes necessary to install a brand new drainfield. This procedure is extremely expensive as it is very lengthy and requires a lot of landscaping to complete. To avoid these unnecessary costs, keep your septic tank working at maximum efficiency by scheduling a septic tank pumping with Dorset Sanitation today. In order to avoid the risks associated with a dirty, overflowing or clogged septic tank, there are a few things homeowners can do to keep their water clean and their yards healthy. Avoid chemical cleaners or bleach to clean pipes as these types of chemicals tend to kill the good bacteria that’s necessary for the tank to function properly. Always avoid putting things like grease, hair, tissue and any other household waste down the drain—and always remember to call (705) 766-9511 whenever you suspect there’s a problem so that Dorset Sanitation can be right over to solve it. Hosted by CREATIVE ONE® | All contents copyright © 2018 Dorset Sanitation.